Winged Creatures … Penguins, Raptors and Bats Oh My! 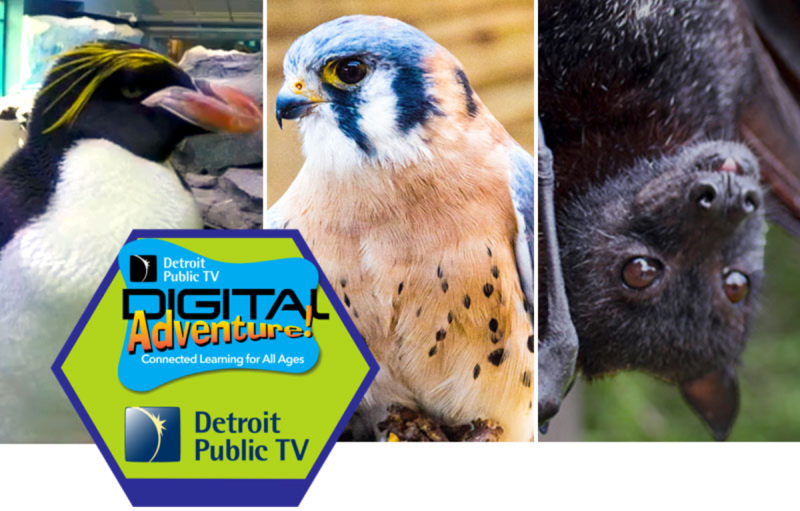 DPTV, the Detroit Zoological Society, Leslie Science & Nature Center, and the Organization for Bat Conservation will bring along teachers, students, and caretakers on a Digital Adventure 360° Interactive Experience for 3 days in December! Each day we will take you on a virtual field trip inside these habitats to view first-hand animal behavior - and wait until you see how penguins and bats react to our cameras! Joining us LIVE will be the experts from each of our partner sites. You will have a chance to digitally experience what these animals experience every day, and you can ask questions of these animal authorities! The video demo of the new 360 Experience will last 10 minutes. After the video experience, our experts will be available for 20 minutes of questions and answers as you get a chance to explore these wildlife habitats with your students. Teachers, join us with your students on just about any electronic device – smart boards, desktops, or tablets.